This was opened on Stone Road, Broadstairs in 1887 by the Community of the Sisters of the Church (of the Anglican church).It could sleep about 300 children and had a chapel which could seat over 400. This was not the first home of St Mary's however, as it was initially located on Wrotham Road. After the Second World War, the home was less used and in 1958, it moved to a smaller building in Thanet Place. It closed in 1983. 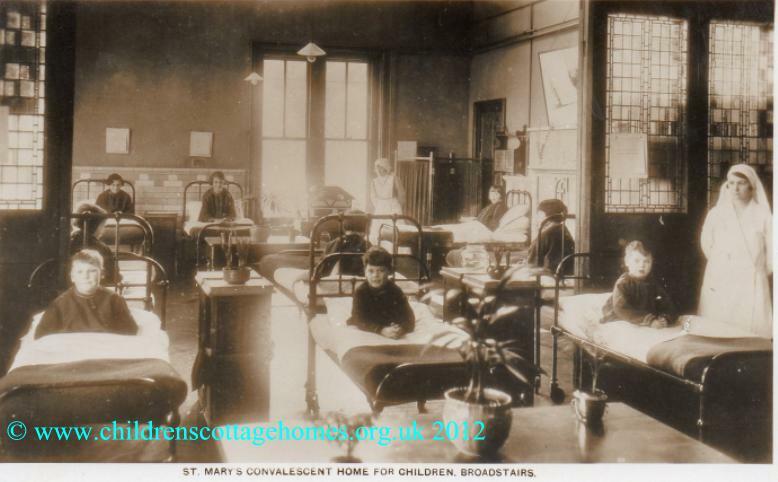 More about convalescent homes in Kent can be found here.